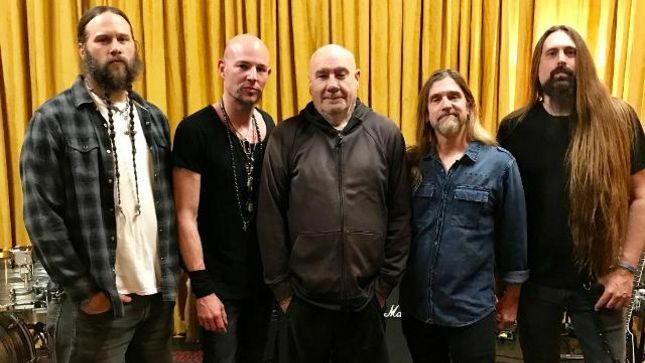 Black Sabbath drummer Bill Ward performed the band’s 1971 classic, “Children Of The Grave”, at the Whisky A Go Go in Los Angeles as part of an Ultimate Jam Night tribute to guitarist Randy Rhoads on March 19. Video is streaming from the event, which marked the 37th anniversary of the passing of the late Ozzy Osbourne rocker with a full set performance of his last concert, a March 18, 1982 show at the Civic Coliseum in Knoxville, TN; the following day, Rhoads was killed in a plane accident in Leesburg, FL at the age of 25. Hosted by The Sweet’s Paulie Z and featuring appearances by Kelle and Kathy Rhoads, Ward performed at the tribute evening alongside an all-star lineup that included bassist James LoMenzo (Megadeth, Black Label Society), guitarist Ira Black (Dark Sky Choir, I Am Morbid, Metal Church), and vocalist Dewey Bragg (Kill Devil Hill, Day Of Errors), among others. Founded in 2015 by Quiet Riot’s Chuck Wright, Ultimate Jam Night is a unique free, live unrehearsed program that presents a rotating cast of some of music’s greatest names; for more details, visit ultimatejamnight.com. Ward chose to sit out the Black Sabbath reunion in 2012 and the companion farewell tour over contractual issues in what became a very nasty public spat with Osbourne, his longtime friend and the band’s frontman.